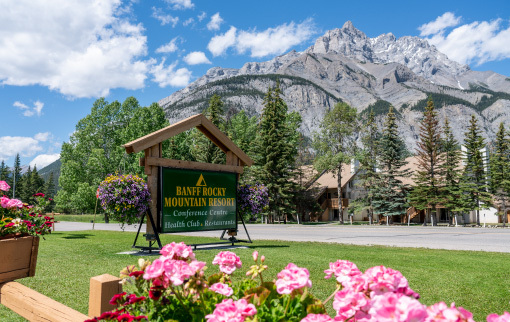 Discover the meaning of a mountain getaway at Banff Rocky Mountain Resort, a relaxing retreat in the heart of Banff National Park. 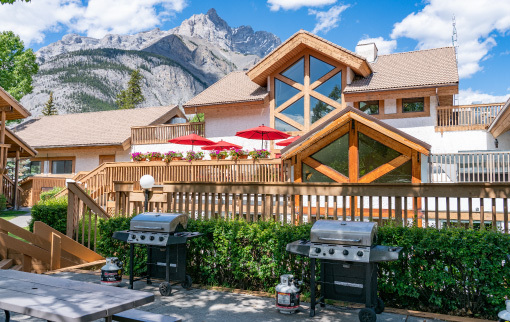 Ideally set amid eight acres of private parkland and surrounded by the glorious scenery of Canada’s oldest national park, while just minutes from downtown Banff, the Banff Rocky Mountain Resort’s breathtaking location and extensive amenities are certain to provide a casual and memorable stay in the Canadian Rockies. 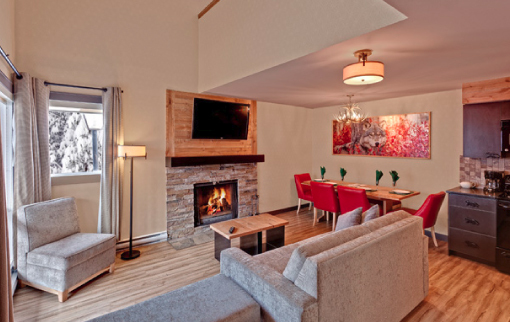 Spent a very enjoyable 16 nights here recently for a ski trip – we rented a Junior Suite and found it suited our needs perfectly as a couple. We had plenty of storage space with the two closets and a comfy sofa to relax on in front of the TV in the evenings after a hard day on the mountain. Wi-fi was excellent – no problems streaming netflix and no issues with multiple people using the bandwidth. Found that housekeeping were very good – we didn’t need to ask for anything like clean sheets or towels as they were simply attended to, the garbage was taken every day, the coffee was topped up every day and the bathroom essentials when required. Laundry facilities were very useful. 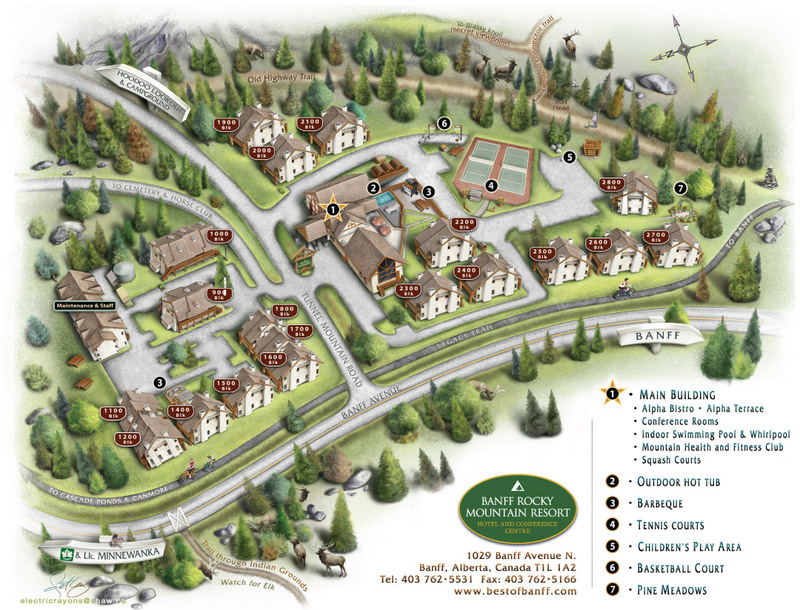 Our family of four stayed at the Rocky Mountain Resort over Christmas for 6 nights. The check-in was efficient and the two bedroom apartment was clean and well laid out. You have to order firewood for the open fire which the staff bought over in good time but it would make sense to have one bundle in the unit when you get there. To get into Banff you catch the free shuttle which runs on the hour (or will do a second pickup if there a the numbers) and this was a great service provided by the resort. The facilities at the resort include pool and outdoor hot tub, gym and a good laundromat. Although we didn’t eat there the resort has a restaurant and bar. The desk can arrange any number of tours and were good in assisting us with any enquiries we had during our stay. 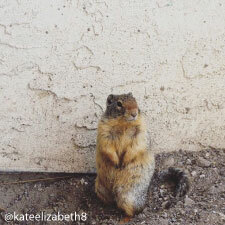 I thought the resort was very good overall and the apartments provided everything we needed during our stay. We would stay here again. We stayed in the loft suite which was amazing. The apartment was spacious and had a working fireplace (order wood from reception) the staff were delightful, the restaurant was good,friendly service and fast. We even saw an Elk walk past! 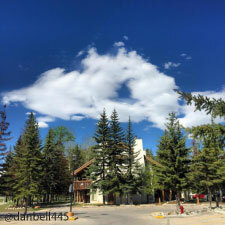 We stayed two nights and walked into Banff town so we could walk up an appetite. Would highly recommend and wish I could stay longer. Delightful. Excellent ! 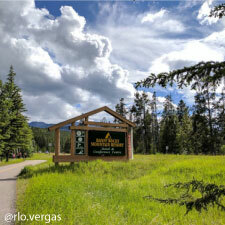 We thoroughly enjoyed our stay at the Rocky Mountain Resort! We were upgraded to a 2 bedroom condo at the edge of the resort and found it was spotless. The bed and bathroom linen were in pristine condition. It was well equipped and everything worked well. I used the laundry and found everything worked well and was efficient. The staff were excellent and did everything they could to make our stay enjoyable. 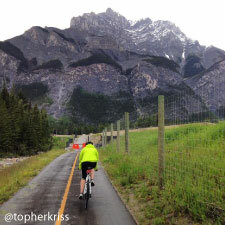 The resort is a few kilometres from Banff which was a positive considering how crowded and busy the town was. We took the shuttle into town and this was a good complimentary service. 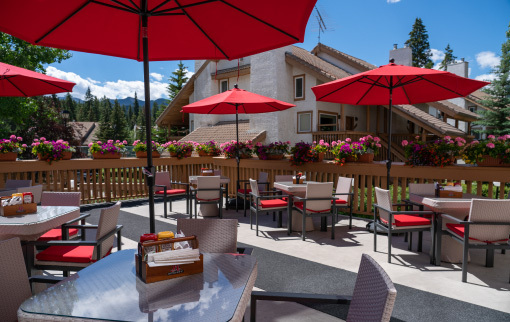 Due to the crowds in all the Banff restaurants, we ate in the hotel 3 times and found the food to be good,reasonably priced and the staff were very efficient. RMR was chosen as the host hotel and reception venue for a wedding. Right from the start the staff was professional, experienced in planning and most helpful in creating a memorable wedding experience. There was nothing left to chance – all aspects of the rehearsal dinner and wedding reception were very well planned and looked after. The front reception staff was so pleasant and accommodating. The Food and Beverage Manager was always on hand making sure all the setup was looked after. The chef created a very tasty buffet that caused some guests to say – best roast beef ever! Even the general manager of the resort was on hand to make sure that everything was going along as it should. I would not hesitate in recommending this venue as a great place to host any event! Well done staff!! First and foremost we want to tell you about the staff – every one that we dealt with in our 4 week stay was in good humor, friendly, and helpful. “Yes” is their favorite response! 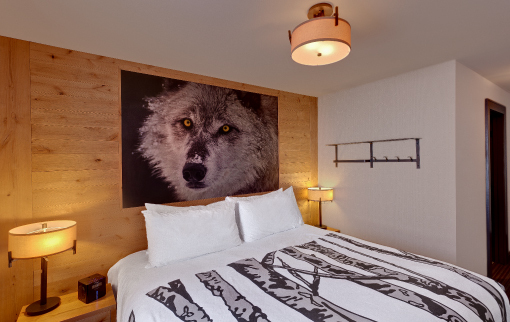 Next we have to say that this is a wonderful place to stay if traveling with a dog. The resort is a little out of town (like 3 min by car), with abundant grounds for the early morning and late night outings, and one can get on good long hiking trails from right behind the resort. 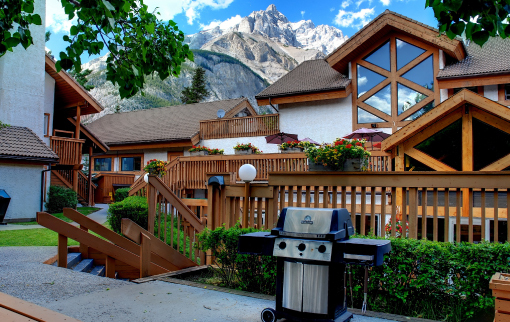 My husband used the gym frequently, we all (the grown kids came to visit) spent time in the large outdoor hot tub after ski days, we often BBQ’d our dinner in the centrally located, covered BarBQ area and the weekend breakfast buffet was good value. 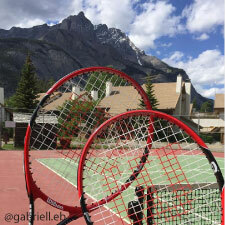 The only thing we didn’t make use of is the squash courts – next time. We will be back. We stayed here for 3 nights during the summer and had a wonderful time. The front desk staff was very friendly and helpful. We booked a suite with a fireplace and I would highly recommend this. The room had a decent sized kitchen, and nice bedroom and bathroom. The room also had a real fireplace which is so rare in hotel rooms. You can order wood for a small fee (five or ten bucks) and they bring you a pack of wood, kindling and newspaper. The hotel has a ton of amenities including hot tubs, a gym and BBQs if you want to grill outdoors. The restaurant in the hotel is good with great staff and reasonably rices food. We ate there several times and always had a great meal. The hotel is located just pushed of Banff (only a couple minute drive) and had amazing views of the mountains. Parking is also easy to find. We absolutely loved this hotel and are planning on returning next summer. Loved it and highly recommend. We stayed here for a few days whilst on holiday. We liked it because the apartments were self-sufficient, had the right level of facilities and we were out of town. The apartment had a good kitchen, lounge, TV, bathroom and bedroom. 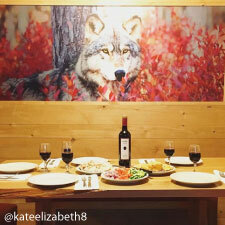 We could also sit outside surrounded by forest. We had one meal in the bar that was nothing to write about but the staff were pleasant. The resort ran a regular minibus to town which was convenient and the motel location was great for getting to local attractions by car. If you are looking for self catering, this is good. Just out of main township…only 3 min drive..nothing else around which was nice..most stunning backdrop of mountains…big rooms big bathroom and no crowds…facilities were great…restaurant for brekky and other meals…indoor and outdoor pool, sauna, tennis court, 2 squash courts, big change rooms with showers, lockers, etc. Staff real friendly too.